Am I in Oregon, or the south of France? 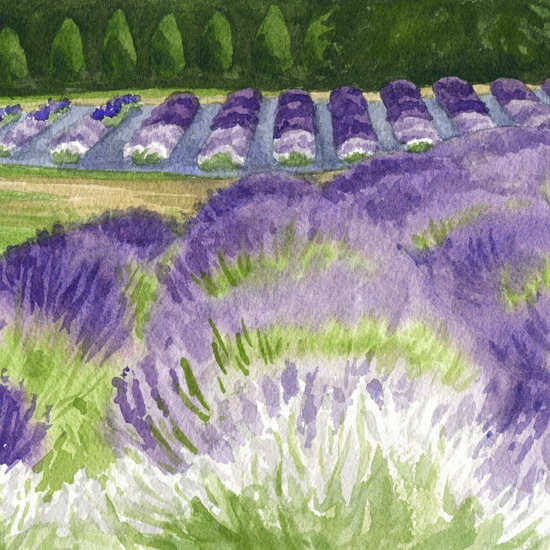 A wonderful week spent roaming and painting in aromatic lavender fields for the Oregon Lavender Festival and Art Exhibit, on display this weekend in Newberg! 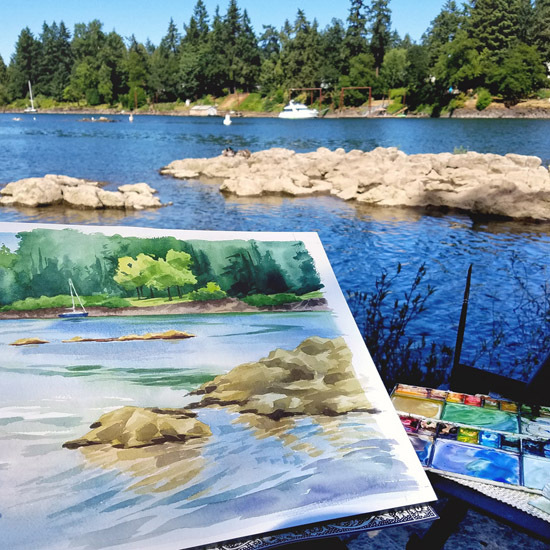 A week exploring Lake Oswego’s waterfronts and farmlands with my painting gear! 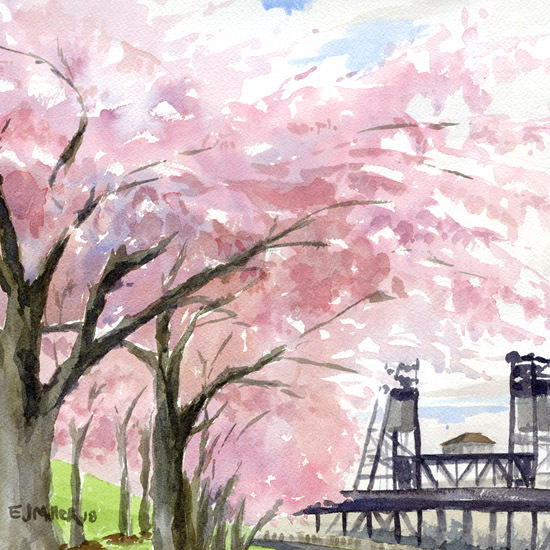 Three of my watercolors are included in the Chronicle: Plein Air exhibit through August 3. 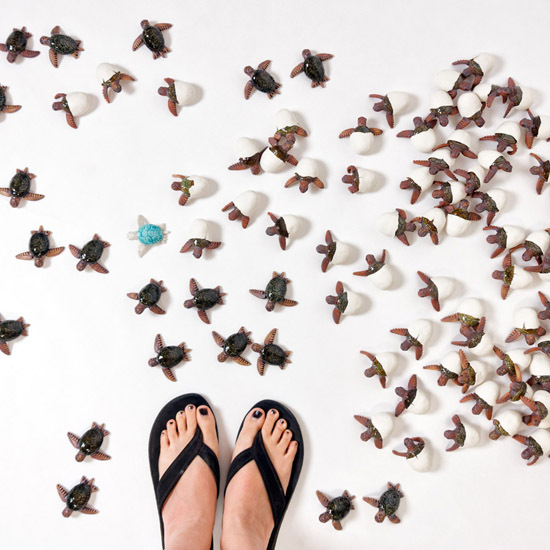 Discover the 100 Turtles story and the months-long process of sculpting over 100 tiny ceramic sea turtle hatchlings. 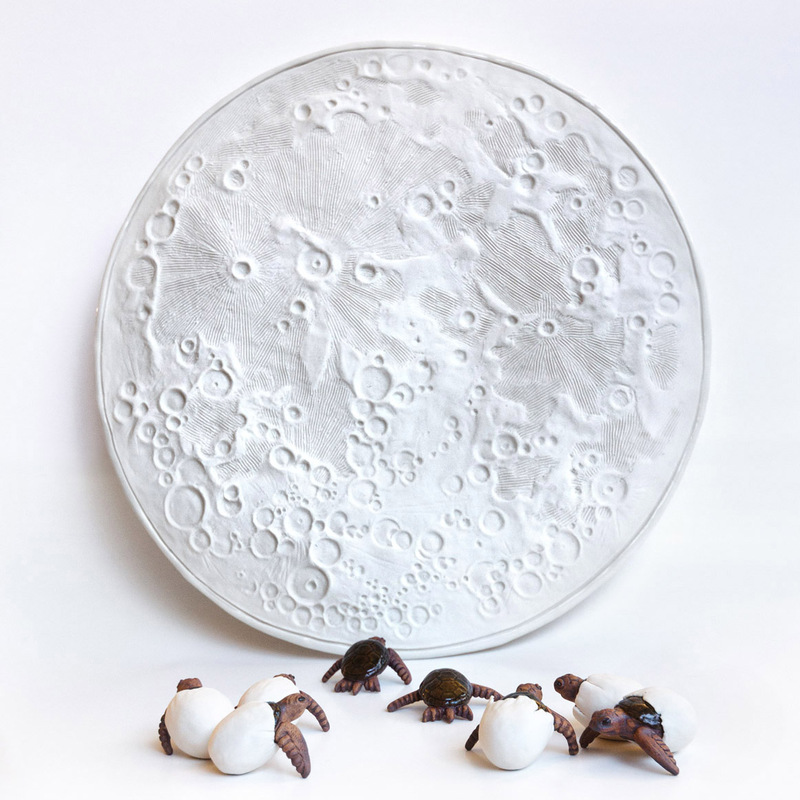 This summer, join me at the unveiling of my 100 Turtles sculpture project, and four exhibits of my plein air watercolors capturing Oregon’s seasons. 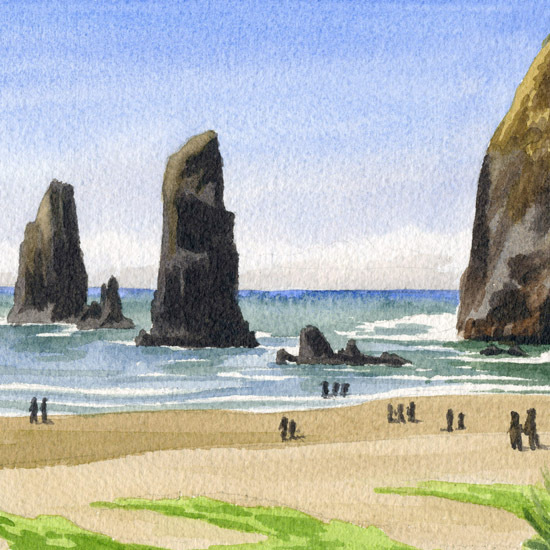 Plein air watercolor paintings from this spring in Oregon and Kauai, plus “Water, Weather, Wind and Rain” group show in Portland!